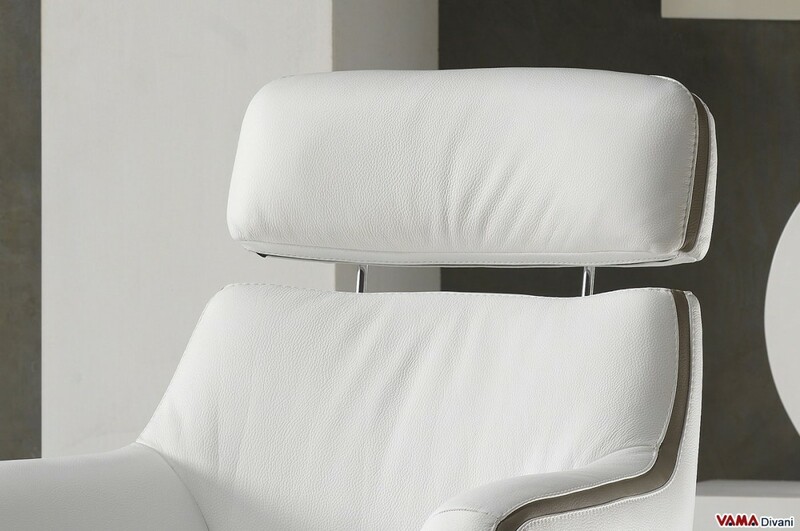 Ginger is a contemporary leather armchair designed to offer the maximum level of comfort and design, a piece of furniture that fans of modern furniture will love. 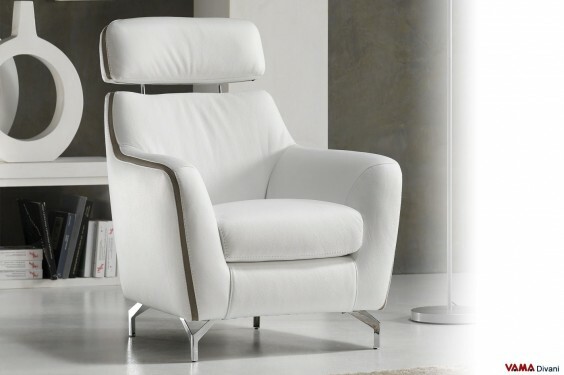 Completely upholstered in high quality leather, with a nice coloured contrast trim, the Ginger armchair features very striking and original feet in chrome steel anda comfortable headrest that makes the structure of the armchair even more eye-catching and unusual. The great ergonomic design that characterises this armchair, together with its very soft upholstery, allows this Leather armchair to offer an excellent level of comfort and convenience. Concerning its style, this armchair can be easily combined in modern and different contexts, such as living rooms, offices or another kind of rooms.